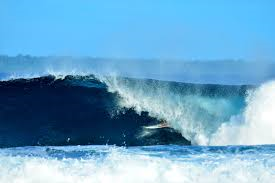 The main surf season runs from April-November the Roaring Forties send plenty of 6-12ft (2-4m) swells through April-November ( High Season ). The SSW direction is ideal for our SW facing area. 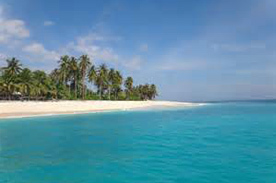 Cross-shore winds are the rule as Lampung means “place of the southerly winds”. The SE trade wind season starts in May with mild winds getting stronger towards the end of the season in October. 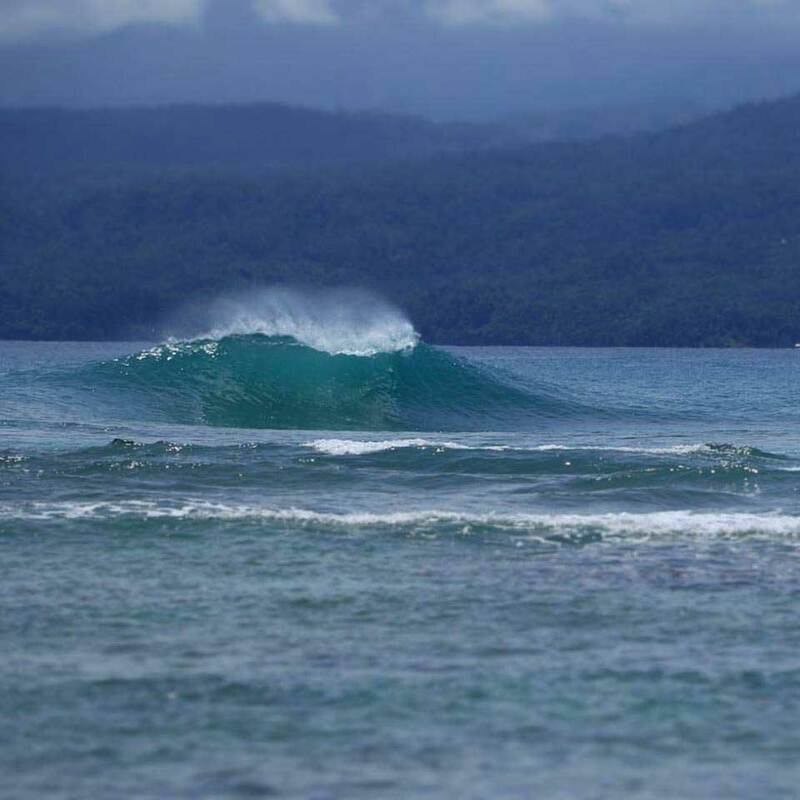 Sumatra Surf Resort faces Ujung Bocor, the area’s longest and best left handed reef break. It ranges in scope from heavy dredging barrels to long carveable down the line performance walls with rides in excess of 200 meters. 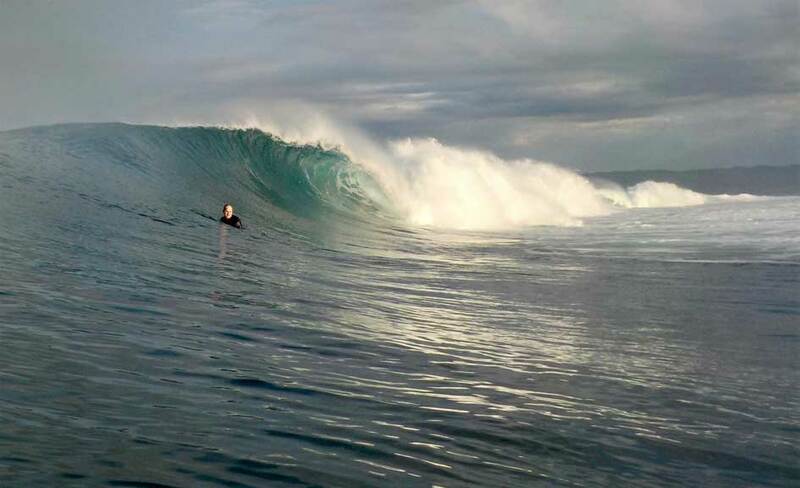 Ujung Bocur is extremely consistent and handles large swells well. In addition, the sheer length of the wave spreads out almost any crowd. 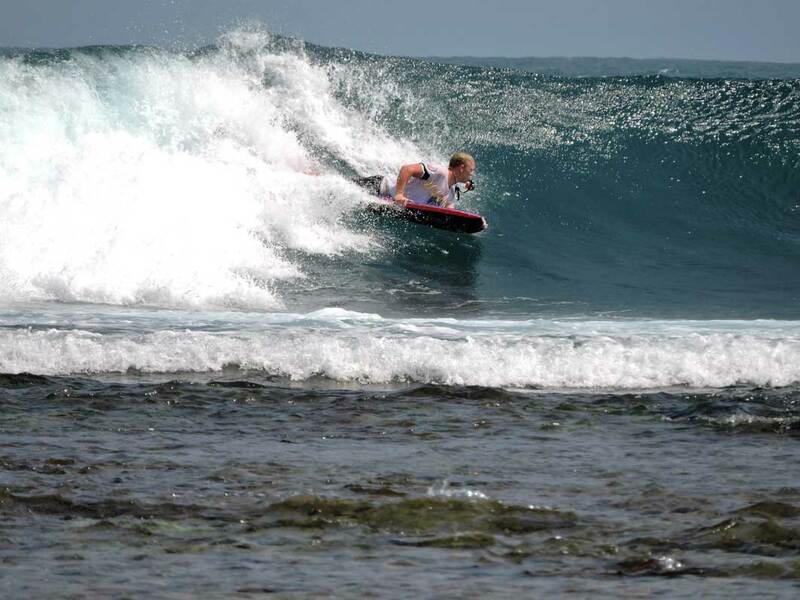 No charge for our surf guides if surfing local breaks. Here’s a rundown of some of the more popular spots in the area and what they offer. The roads to these spots are all pretty good now. Don’t know where they are? Our surf guides are happy to take you!